- Demanded in schools, collages, etc. 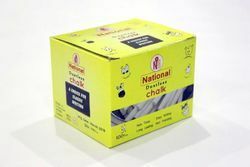 Leading manufacturer and exporter of dustless chalk. We have 10 pc, 50 pc, 100 pc, 144 pc packing avilable. Also colored chalk. Kamal Low Dust Chalk "classic"
Sticks are very dense and therefore they last as much as twenty times the ordinary chalk sticks and thus these are economical even though the price per stick is reduced by one third rather than increasing. A trial would remove your doubts, if any. These chalks are available in white and five assorted colors. We deals in Kores Dustless Chalk. We are engaged in offering our esteemed customers a broad range of Chalks. The offered chalks are highly acclaimed by our patrons for their high quality. 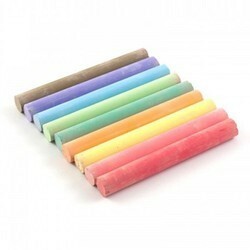 The provided chalks are available in different packaging sizes and colors.